It’s not like you would normally give any thought to the possibility of moving your site to another server. Your site is up and running and you are busy managing it and bringing in new members. But say, you are no longer satisfied with your current hosting provider, or the server where you host your site is no longer functioning correctly, or you’ve found a better offer, and so on. It means that the time has come to move to another server and the question arises: How do I go about it? 1. First of all, make sure that the new server meets system requirements. Here you will find the system requirements info for PG Dating Pro. 2. Copy the site files onto your local PC or some other location. Alternatively, compress the files directly on server A to later move and decompress them on server B. Please note that you may leave out temporary files if they take up too much space. 3. Create an SQL dump of your database using the tools of your hosting control panel (such as phpMyAdmin), or by using Adminer management tool. 4. Upload the files or archive with files onto the new server. Binary transfer mode is recommended. 6. Create a new database on your new hosting panel. Create a database user and give this user full access to the database. 7. Restore your database from the SQL dump in the new location. 8. In the configuration file (for Dating Pro it is config.php in the site root directory) change paths to files and include new database access details. – If you use cron jobs, do not forget to copy them on the new server. – Edit files /m/index.html and /m/scripts/app.js for the mobile version of your site to work correctly. – Generate sitemap.xml again and edit robots.txt file – you can do it all from the site’s admin panel. – Check .htaccess file in the site root to make sure all commands still apply. 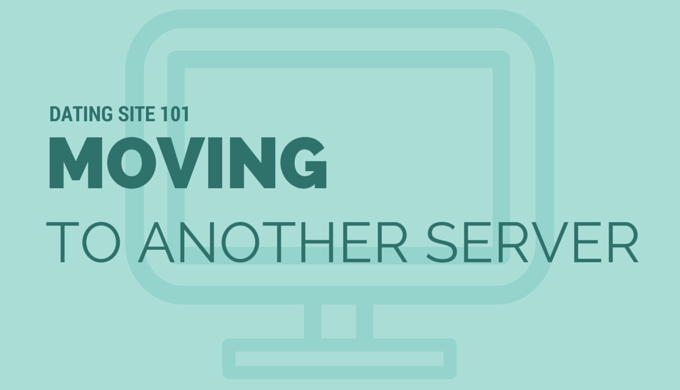 Our Support team will be glad to help you move your site to another server. Contact us in live chat , or call 1-844-273-0305. Additional fee may apply.